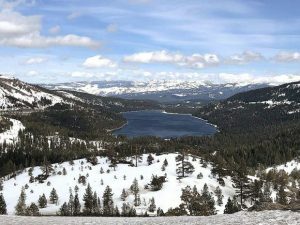 The 45-day public comment period for the draft statement and report on Squaw Valley Alpine Meadows’ gondola project began April 27 and closes on June 11. Once the public comment period is closed the county project team must evaluate all the comments and respond before the county can release a final Environmental Impact Report and the project can go through two public hearings. All comments received by Placer County during the 45-day public comment period will be shared with the Forest Service and responded to in the Final EIS/EIR, and vice versa. Therefore, it is not necessary to send your comments to both agencies. Placer County is accepting comments from the public concerning the proposed construction of the Squaw Valley Alpine Meadows base-to-base gondola project and its impacts on the environment and local homeowners, with noise and traffic concerns dominating the discussion. At a recent public hearing, Alpine Meadows residents brought forth concerns of the increased disruption caused by additional Gazex avalanche exploders that would be installed if the project were approved. Hamilton said he “loved the idea of a gondola,” but was concerned about having more machinery necessary for its operation so close to his house. Melissa Siig, a 14-year homeowner in Alpine Meadows, said she was also concerned about the noise additional Gazex machines would create. Siig also stated her concern over the project’s close proximity to the Five Lakes Trail, which she often hikes, and the environmental and visual impacts it may have on the land. “I don’t think more is necessarily better,” said Mary Coolidge, who has lived in Alpine Meadows on and off since 1971. She voiced her concerns over the visual impact of the gondola stating that she’d be able to see it from her living room, as well as increased traffic in the area. “We already have a horrendous traffic issue,” she said. Coolidge said that during peak operating times it can take her up to an hour just to get from her home in Alpine Meadows to Squaw Valley where she works. 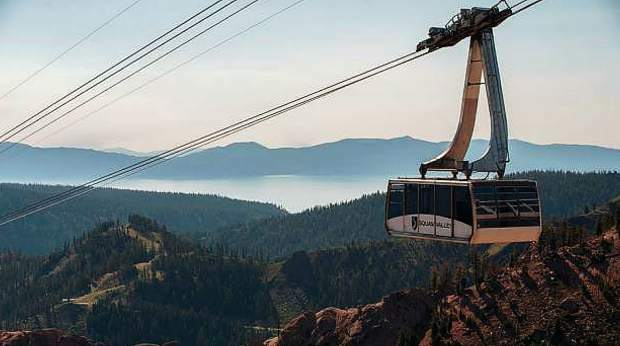 According to the Squaw Valley website, by combining 6,000 acres of terrain from both mountains, the gondola would provide easier access to both resorts without the use of a car or shuttle bus. 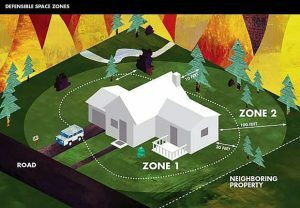 As the proposed path of the chair line will run adjacent to the Granite Chief Wilderness Area, the U.S. Forest Service required an environmental impact report to be drafted for the project. The report outlines four possible actions to be taken with the project. The impact report concluded that the fourth alternative would be the most “environmentally preferable” as it occupies the least amount of land. It would measure 11,700 feet with 2,300 feet over NFS land and 33 towers. Each proposed gondola route requires two base terminals and two mid-stations with 8 Gazex avalanche exploders. The 45-day public comment period for the draft statement and report began April 27 and closes on June 11. Once the public comment period is closed the county project team must evaluate all the comments and respond before the county can release a final Environmental Impact Report and the project can go through two public hearings. For the project to move forward it must receive approval from both Placer County and the United States Forest Service.